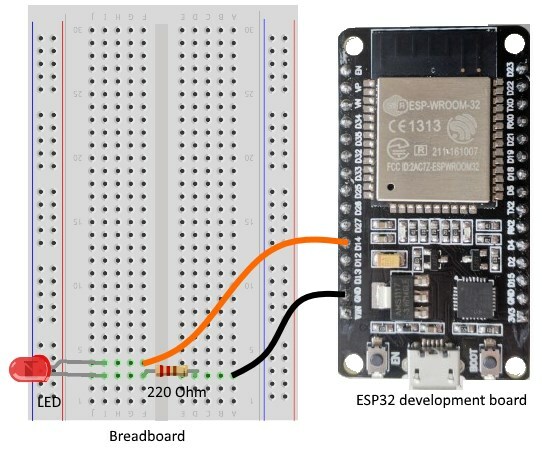 We recommend to use the Arduino IDE to program the ESP32 development board. 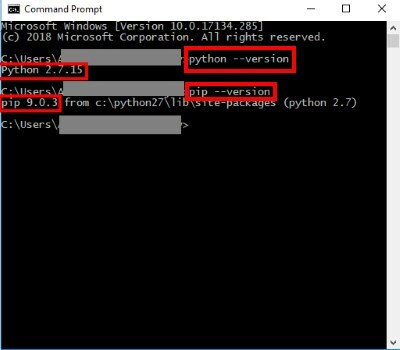 However it can be difficult to install the ESP32 add-on using Git GUI due to permission errors, Arduino IDE version, or multiple Arduino IDE installations on some PCs. 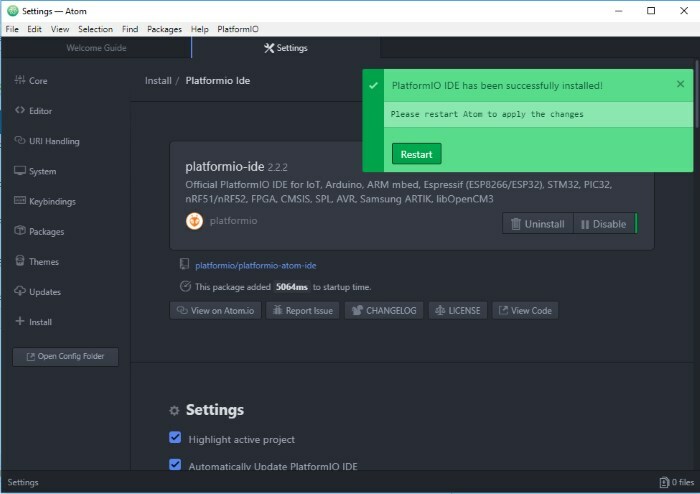 There’s also another popular method to program ESP32 development boards using the Atom text editor combined with PlatformIO IDE. 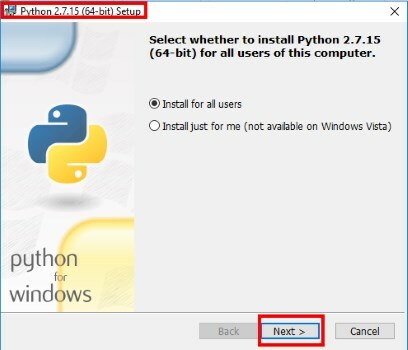 With this method you can still use the same programming language you use on Arduino IDE. 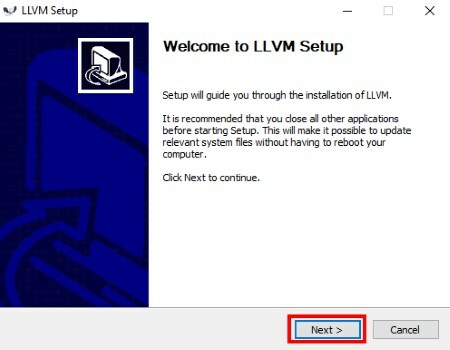 This next tutorial was tested on a Windows 10 PC and on a Mac OS X computer. 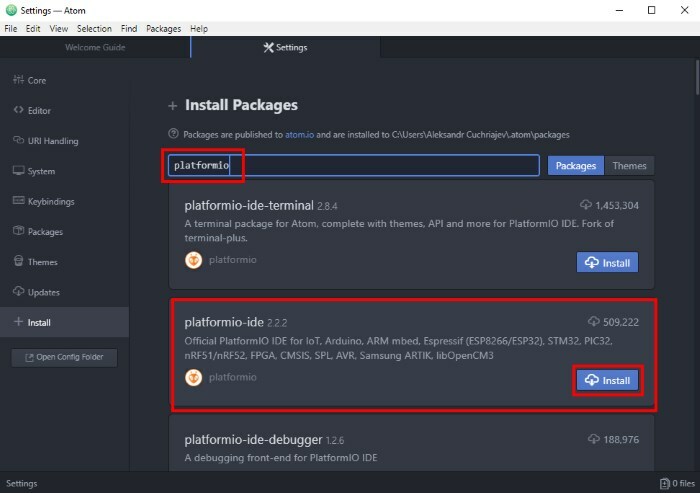 There is another method to program ESP32 development boards - to use the Atom text editor combined with PlatformIO IDE. You use the same programming language with this method. 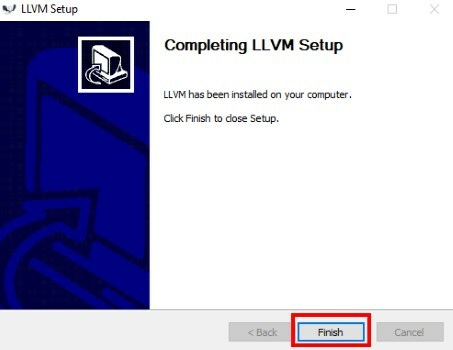 We will descriibe how to use it here, this project was tested on a Windows 10 PC and on a Mac OS X computer. We will use GIT GUI method here. There is also the alternative method which described here. 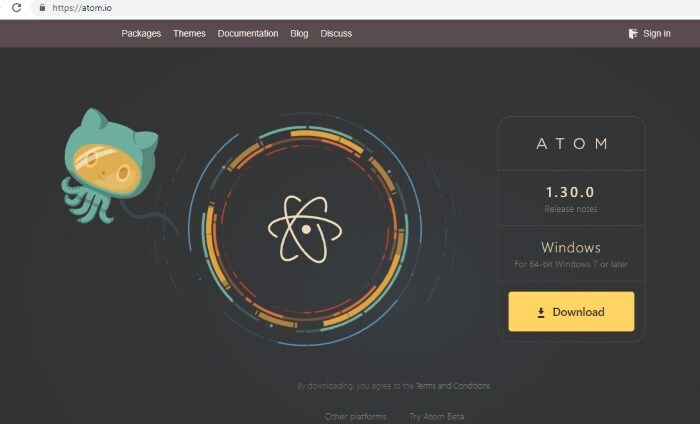 You need to install Atom text editor. 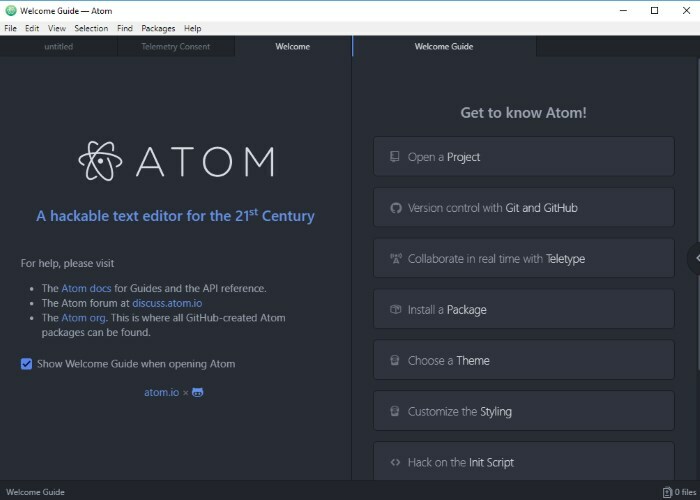 Go to Atom.io website and download the free Atom text editor. 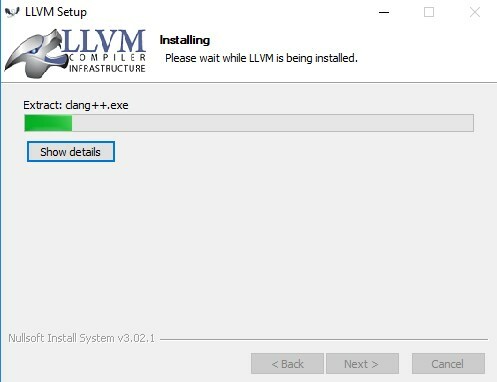 Open the downloaded installation file AtomSetup-x64.exe and run it. 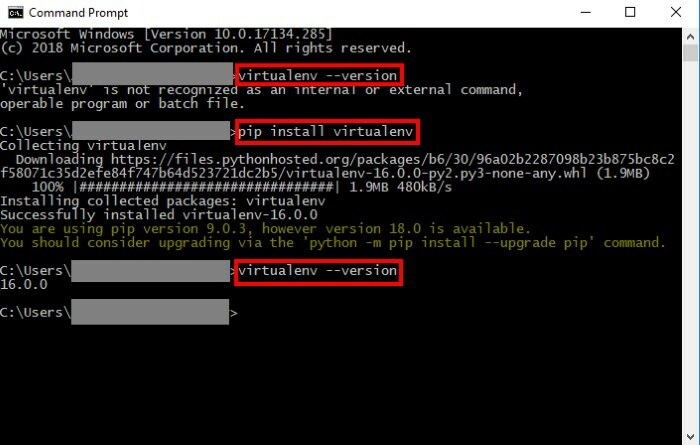 The installation is quite easy. 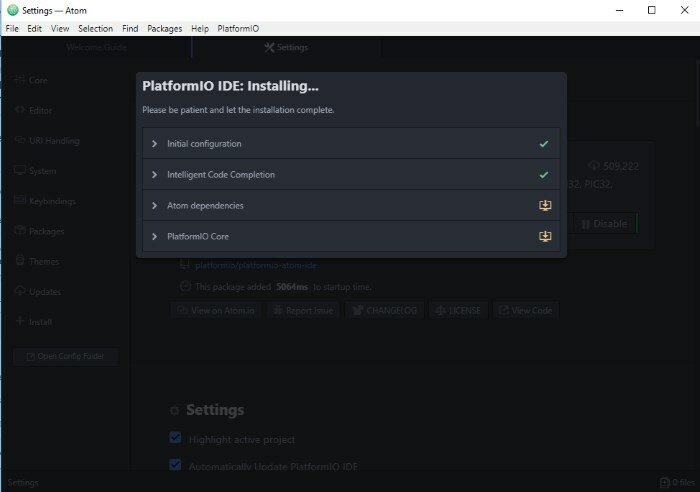 You will see the message that Atom is being installed and it will launch automatically when installation done. 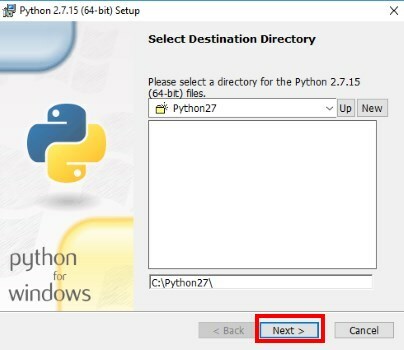 You need to install Python 2.7.X on your PC to use PlatformIO IDE and program your ESP32 boards. 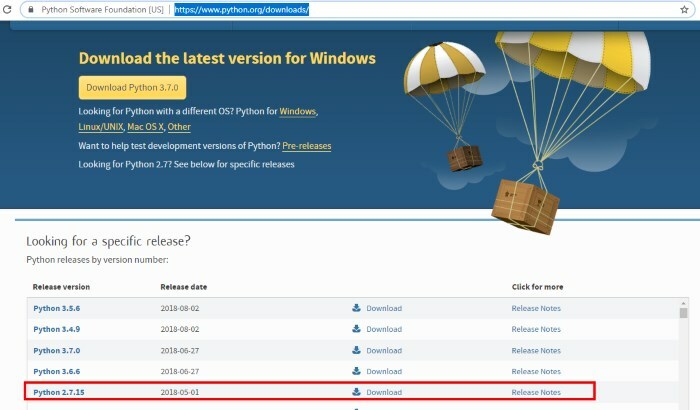 Go to python.org website and download the latest version of Python 2.7.X for your OS (Operating System) (We are using Python 2.7.15 version in this project. 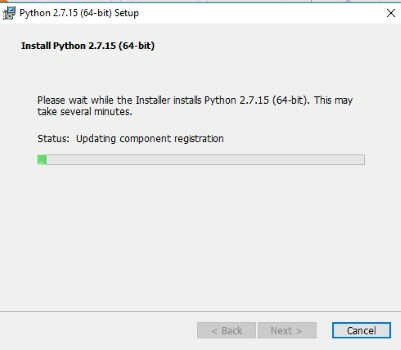 Any other Python 2.7.X version should work too). 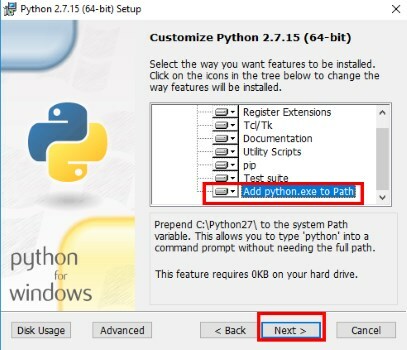 Scroll down in the Customize Python 2.7.15 window and open the Add python.exe to Path. 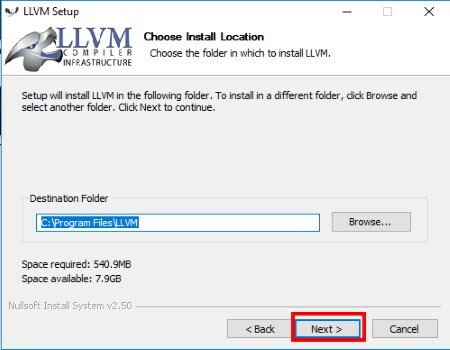 Select the option Will be installed on local hard drive. 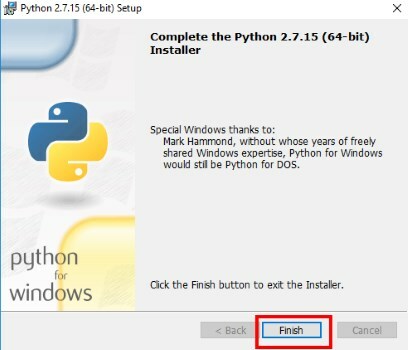 After Python 2.7.X installation open the Command Prompt desktop app. Both commands should return a similar output (the version might be slighter different in your case). 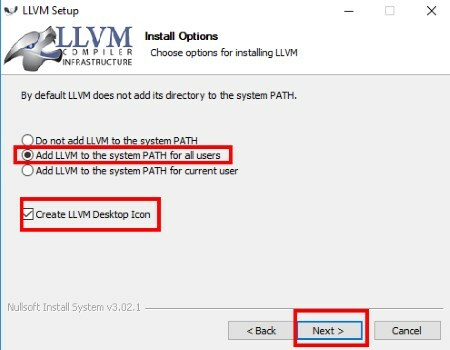 Select Add LLVM to the system PATH for all users option. 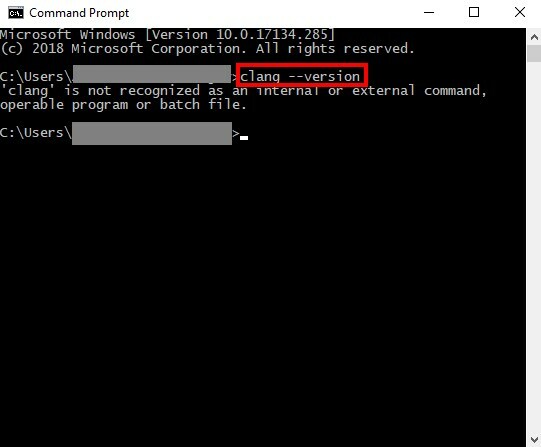 Linux - using package managers: apt-get install clang or yum install clang. Other systems - download the latest Clang for the other systems here. Open Atom text editor and go to File -> Settings. 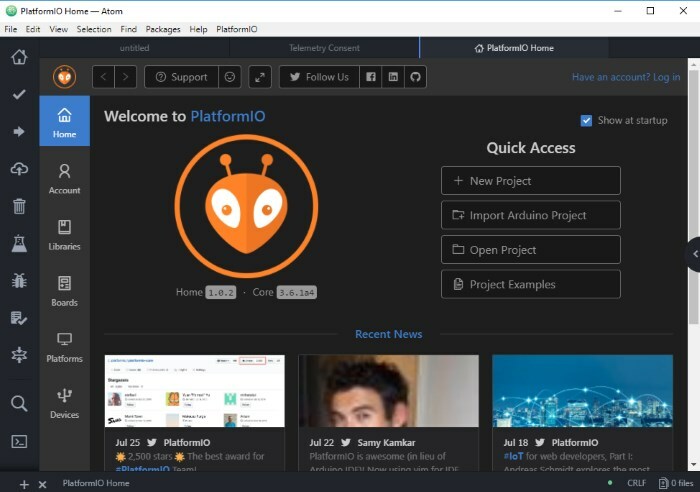 Search for platformio , select platformio-ide and press Enter button. 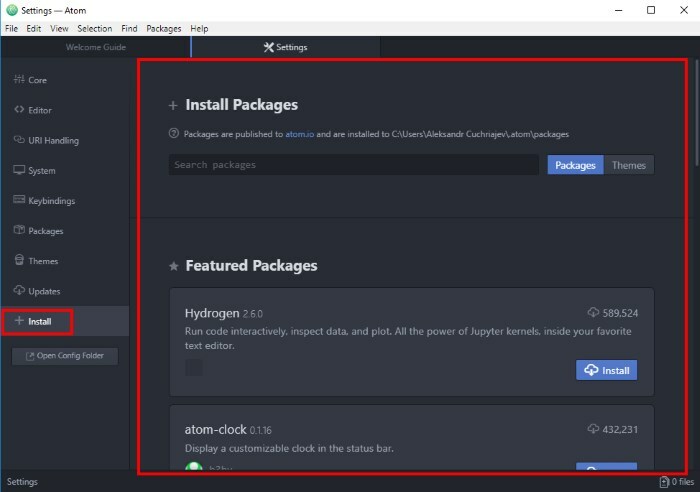 When installation completed restart the Atom text editor for the changes to take effect. 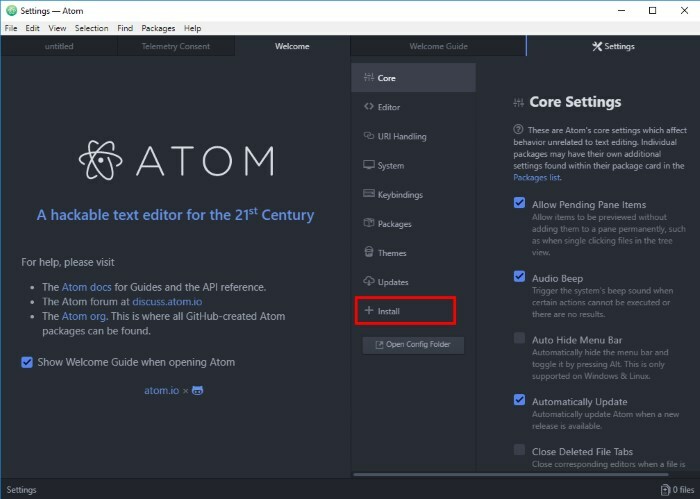 When you open Atom text editor a new window should load with the Welcome to PlatformIO screen. 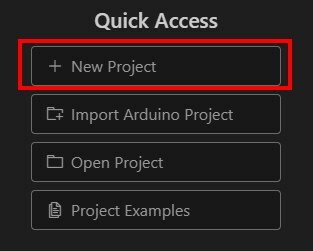 Press New Project button in the quick access menu. You will see the pop up window that allows you to create a new project for your board: Name your project, search for ESP32 and select your ESP32 board (example: DOIT ESP32 DEVKIT V1), select Arduino framework. Press Finish button. When the new project created you’ll see the project folder on the left menu that you can use to navigate through files and folders. Open the src folder and double-click the main.cpp file to open it. 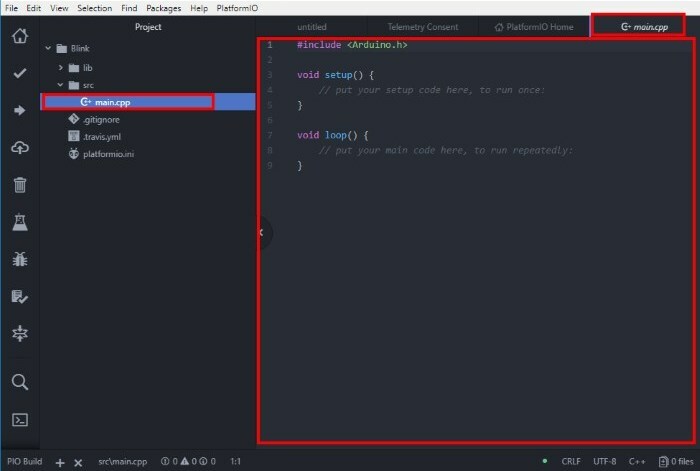 A new window opens in Atom with that file so you can edit it. The main.cpp file is like your Blink.ino file used in the Arduino IDE. You can write your Arduino code, but you need to start with the file by including the Arduino framework. So, basically all the Arduino sketches work with PlatformIO IDE. Let’s blink a LED connected to ESP 32 GPIO14. 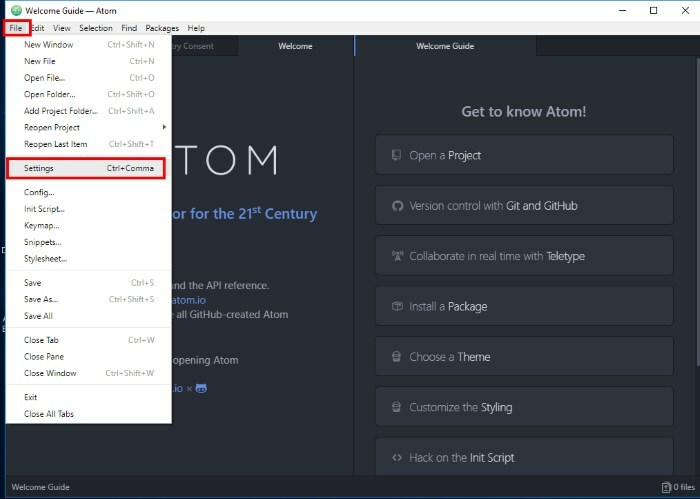 Enter the code to the Atom text editor, save it File->Save or open main.cpp file File->Open. Press Upload button. 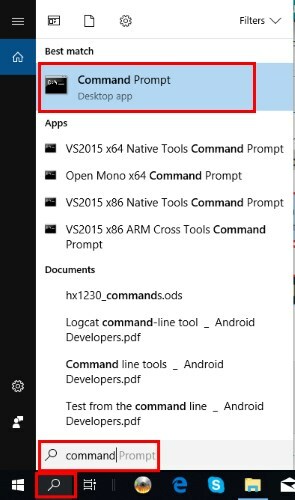 You need to hold the ESP32 on-board Boot button while uploading. Wait a few seconds while the sketch uploads to your board. You can see that the LED blinks every second. Yo are done! 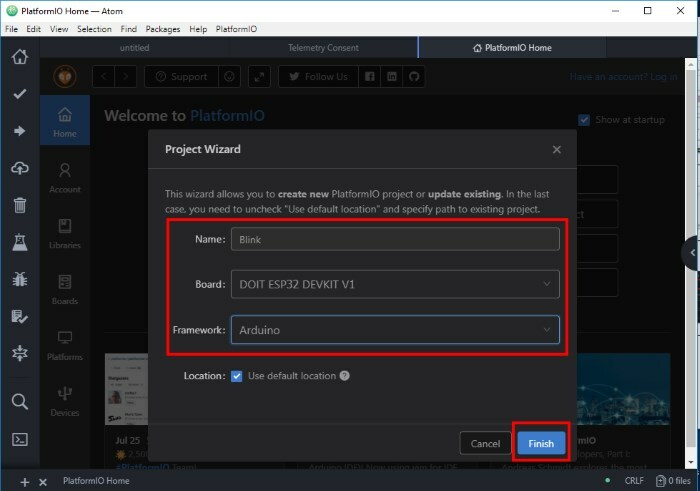 The PlatformIO was successfully installed and you can use it to program your ESP32 development board now. 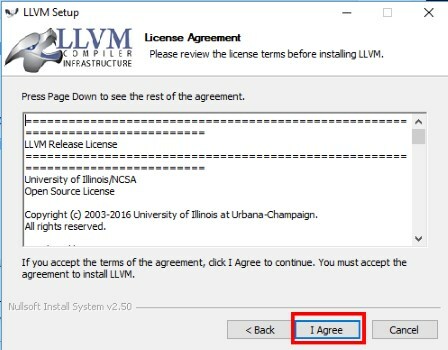 Open the serial monitor by pressing the icon (12). 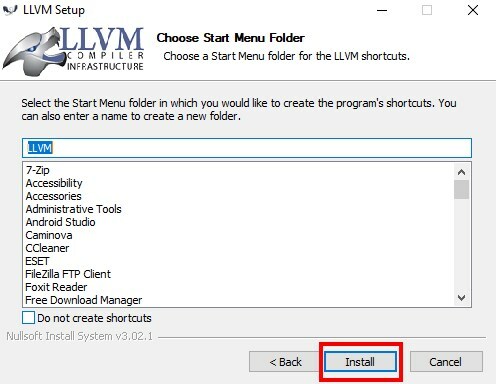 The PlatformIO software should automatically complete your settings. Otherwise select your ESP32 COM port and its baudrate. Press Start button. 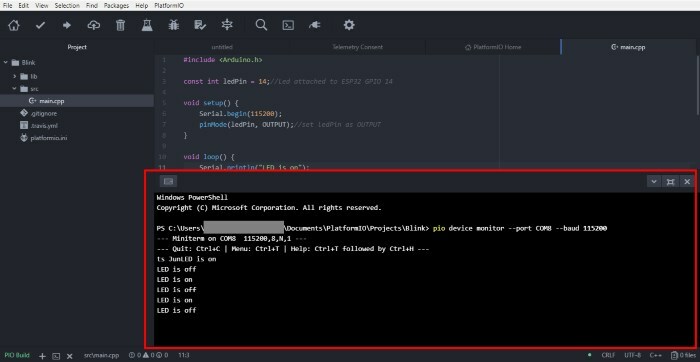 You will see the window that outputs all the Serial.println() commands used in your code like the Serial Monitor in Arduino IDE. 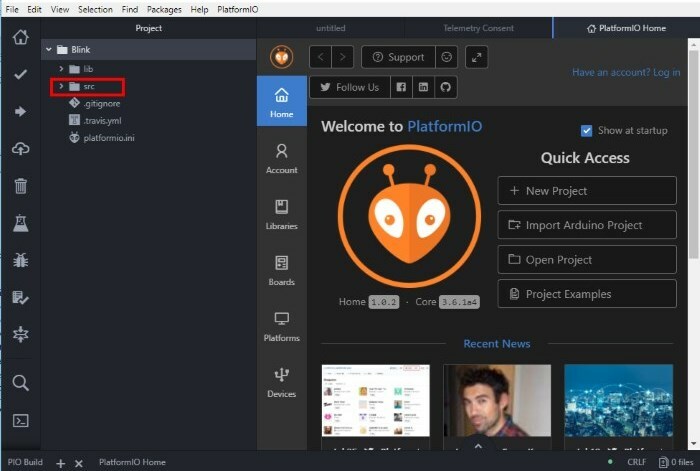 You can use following links as a resource to explore the additional functionalities and features that PlaformIO offers: PlatformIO IDE official website, PlatformIO IDE user guide, PlatformIO IDE documentation, PlatformIO IDE Espressif 32 (ESP32) boards. 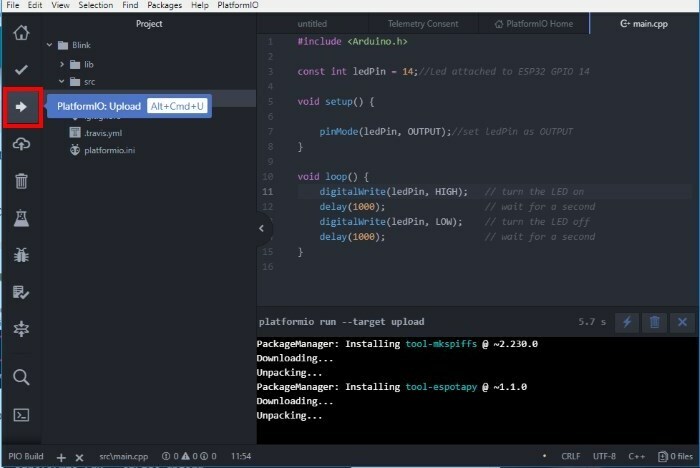 We have learnt how to use the another method to program ESP32 development boards - the Atom text editor combined with PlatformIO IDE. Main.cpp file attached on the beginning of this project description.